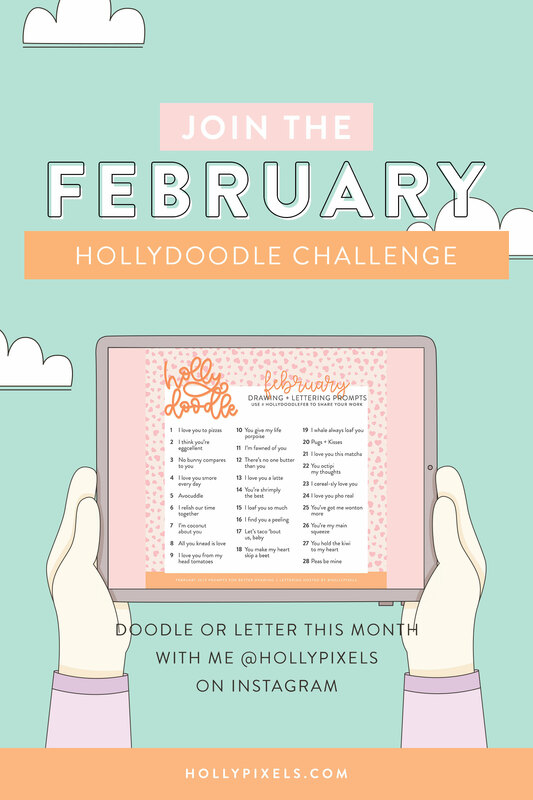 I hope I’ll be seeing you participating in the Holly Doodle challenge each month. 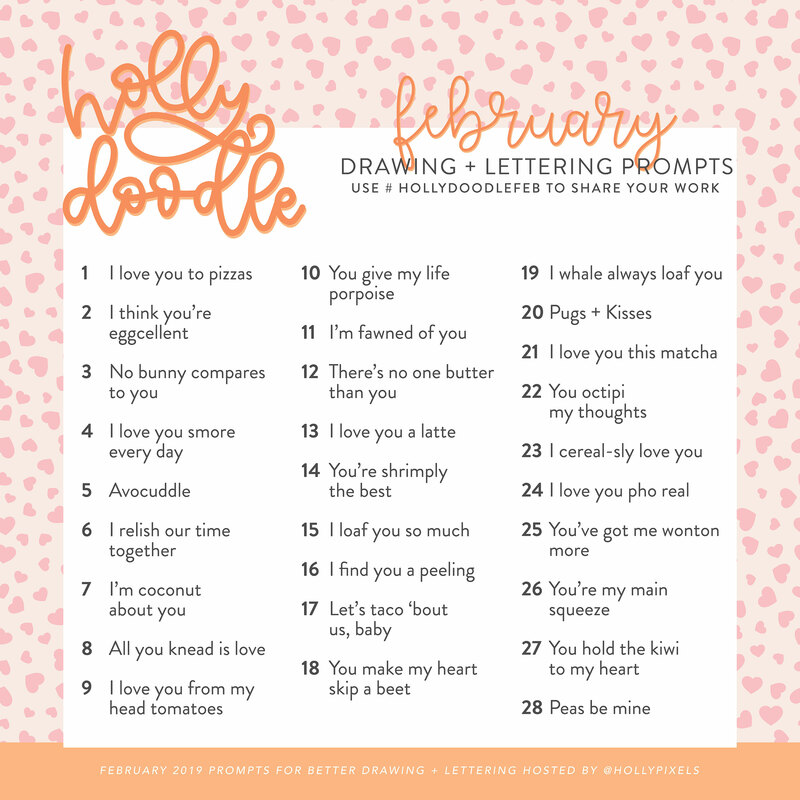 Here are the doodle prompts for February – all about the Love puns! We finished an entire year of challenges last year and it was fun. Over the year I moved on from just doing lettering to introducing illustration into my work. I feel like hand lettering is illustration too. Drawing letters is just as much of an art form. So I restructured the challenge to be a Doodle challenge that lets you do whatever you want. Doodle a picture, or draw letters. The choice is yours. Do it when you can! When you draw more frequently you get better and develop a style. If you’re just starting out or just need a warmup, set a timer. Try and draw something from the prompts in five minutes. Doing more drawing allows you to look back over time to compare where you begin and where you’re at now. Don’t overthink the prompts, have fun! Here are the doodle prompts I came up with for February 2019. Be sure to tag me on Instagram or use the hashtag for the month: #hollydoodlefeb so we can find your work and I can share some of the stand outs in my Insta Stories.